The Board of Directors shall hold a regular meeting at least every three months, and the Chairman of the Board shall determine the date and place of the meeting and its agenda. The BOD shall hold an extraordinary meeting at the request of the Chairman or four of its members. In such a case the meeting will be limited to discussing the topics for which the Board meeting was held. The BOD meeting shall be quorum in the presence of a majority of the members, provided that they include the Chairman or the Deputy- Chairman. The Chairman of the Board of Directors or his Deputy shall preside over the Board meetings, and only exceptionally, and when the need arises, the Board Members shall choose a Chairman from among them. The Board of Directors shall take its resolutions by a majority vote of those present, and in case of equal votes, the vote of the Chairman of the BOD shall preponderate. When necessary, the resolution of the Board of Directors shall be taken by circulation, provided that the resolution is sent to all members and be approved, in writing, by the majority of the Members. The SAS Secretary-General shall attend the meetings without having the right to vote, and he shall implement the resolutions of the BOD. 2. Form technical and executive committees from among the members of the Board, according to the need, and approve the rules of exercising its functions. 3. 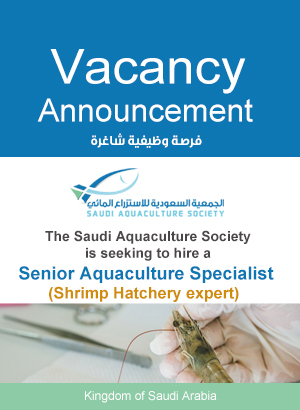 Approve the establishment of branches of the Saudi Aquaculture Society. 4. Approve the SAS annual budget for the next year. 5. Accept the members of SAS and approve the amount of the membership subscription and its amendments. 6. Approve the organizational structure of SAS and the human resources plan and its amendments. 7. 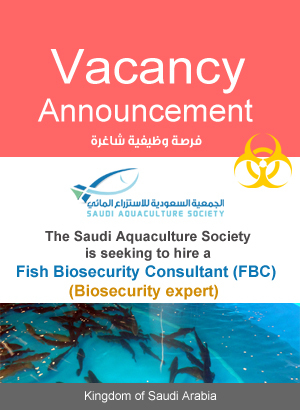 Appoint the Secretary General of the SAS and his Deputy on the basis of a recommendation of the Chairman of the BOD. 9. Adopt the investment policy of the SAS funds. 1. Represent the SAS before the Judiciary, and communicate with the official and non-official bodies inside and outside the Kingdom, on behalf of the SAS. 2. Adopt the SAS rules, regulations, organizational structure and plans and study them. 3. Approve the annual report and the final accounts of SAS of the past year. 4. Approve the convening of conferences, workshops, symposia and training courses. 5. Approve the convening of the ordinary and extraordinary meetings of the Board of Directors and the General Assembly. 6. Order disbursement and take other financial measures within the approved budget, and what is approved by the BOD. 7. Sign contracts, purchase orders according to the annual budget and financial regulations. 8. Sign agreements with third parties in order to serve the interests of the parties of the agreements. 9. Approve the policy of investing the SAS funds and its business activities. 10. Select a substitute member when the membership of one of the Board members selected by the General Assembly becomes vacant, in consultation with the Board members.